Weight: no more than 18 lbs. What is the origin of the Coton de Tulear? The Coton de Tulear is believed to be descended from dogs who survived a shipwreck near Madagascar, a large island off the coast of Africa. The surviving dogs swam ashore at the port of Tulear and bred with local terriers, resulting in the present day Coton de Tulear. The dog was allowed to be owned only by the ruling tribal monarchy. Later, conquering French colonists adopted the dog allowing only the elite to own them. In 1974, Dr. Robert Jay Russell, a biologist studying Madagascar lemurs, sent Coton breeding stock to American. Political and economic unrest threaten the dog with extermination in Madagascar. Also in 1974, the Coton was honored on a Madagascar postage stamp. 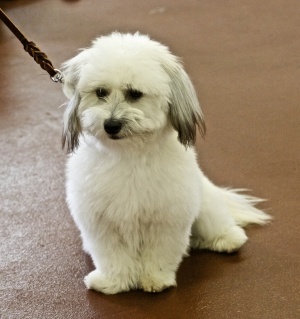 The Coton de Tulear while still rare is fast growing in popularity in America and Europe. What does the Coton de Tulear look like? The Coton de Tulear is no more than 18 lbs. and is 9-13 inches tall. The round eyes are dark. Triangular ears are set high. Cotons have black noses. The coat is medium to long and compared to hair rather than fur and has a cotton ball texture. Cotons are non-shed and have low dander. 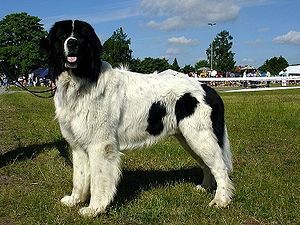 Colors are white or black with gray, yellow, tri-color, or white markings. The coat should be brushed and combed daily. What is the temperament of the Coton de Tulear? 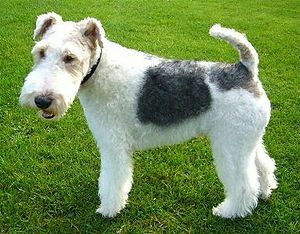 The Coton is a playful, affectionate dog. It is easily trained with praise and does not respond well to punishment. The Coton makes some interesting, different sounds when playing and having fun. Its close attachment to its family can cause separation anxiety when left on its own. Training can help overcome this problem. They will often jump up and walk on their hind legs for your entertainment. Cotons love playing with children. They don’t require lots of exercise, preferring playtime. But they should have a daily walk. Cotons do very well living in apartments. What is the Coton de Tulear used for? Cotons perform well in agility trials. 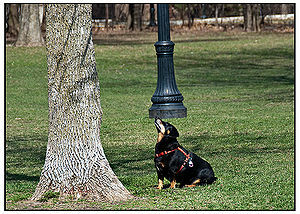 While they are mainly active at home, they are able to go on long hikes too. Cotons are fun, affectionate companions.